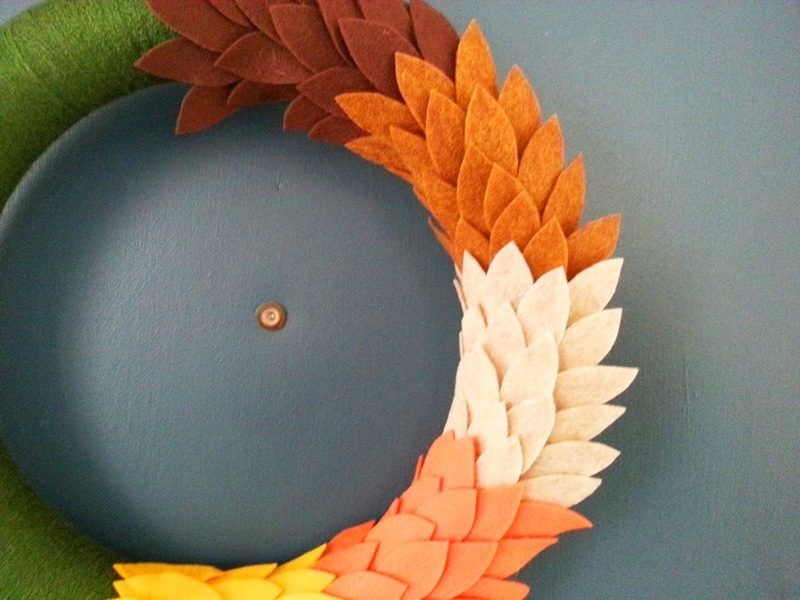 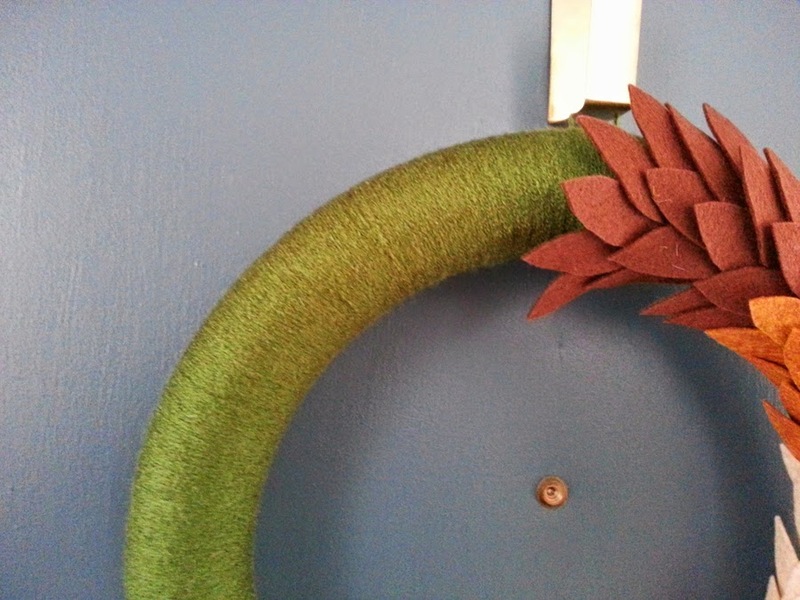 A 14" Styrofoam Wreath form wrapped with an Olive Green Yarn. 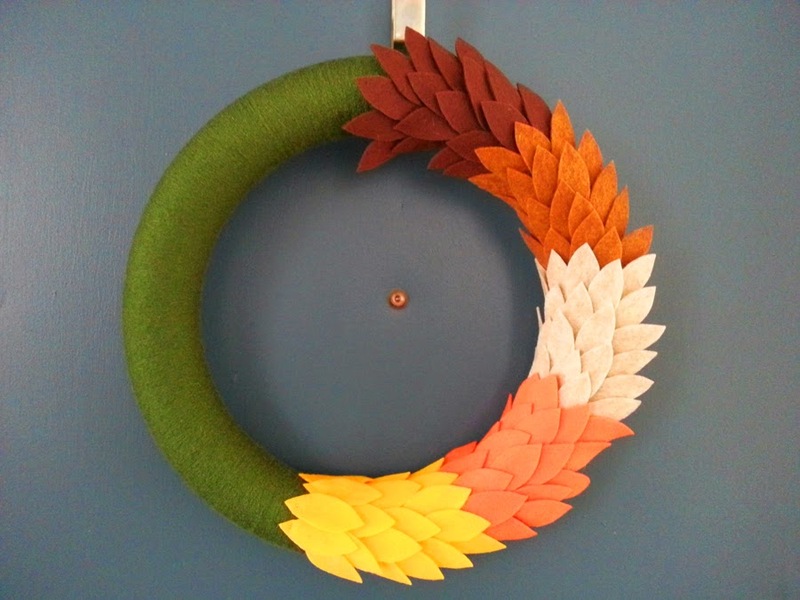 I hand cut the leaves from felt with varying shades of brown, orange and yellow. 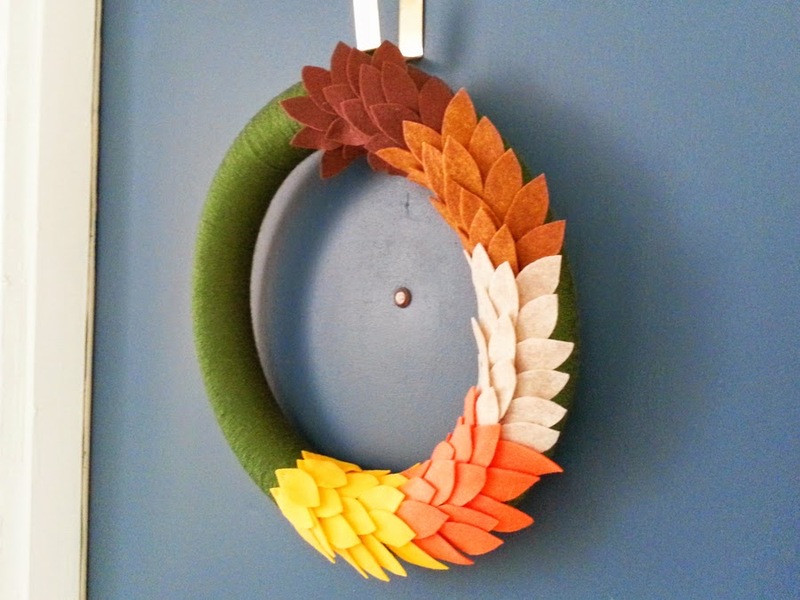 The leaves are individually attached to the wreath form. 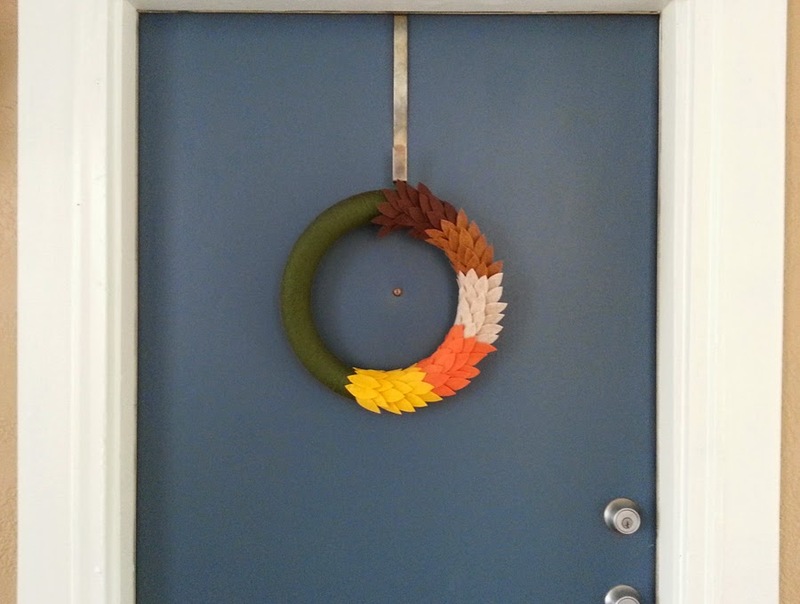 Beautiful Fall Colors to add to you Fall Decor. 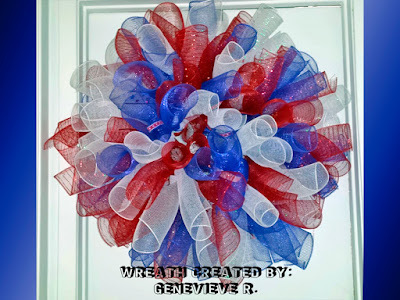 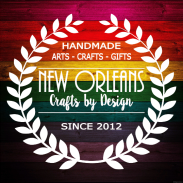 Visit My Etsy Shop for my current selection of Yarn Wreaths!